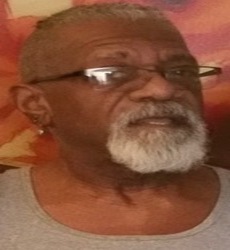 William Archie Blount peacefully passed away early Saturday morning on March 16, 2019, after a long illness. William, who many of his dear friends knew as "Bill," will be greatly missed. His humor, his character, and his wit was phenomenal. He could cheer up any room, at any time, as soon as he entered it. William was born in Richmond, Virginia and raised in Cranbury, New Jersey. He came to Long Branch in 1966, where he attended the Long Branch school system. He later moved to Providence, RI for approximately two years before heading out to California. He returned to New Jersey after a few years and resided in Asbury Park. While living in Asbury Park he worked at Monmouth Mall Macy's in retail for a few years before his disability. William "Bill" resided in Ocean Township for the last ten or more years. William is predeceased by his parents, Eljay Blount Sr. and his mother Mamie Green; his step-father John Green; his step-mother Marie Rivers; a brother Eljay Blount Jr. and a sister Nizirah Mustafa. William leaves to mourn his passing three sisters Zell Blount, Long Branch, NJ, Shirlene Blount, Charlotte, NC and Shontel Rivers, Arlington, VA; 4 nieces and 6 nephews; 7 great-nieces and 13 great-nephews; 2 great-great nieces and 4 great-great nephews; 5 aunts Bertha Morris of Elkridge, MD; Myrtle Watson of Mattaponi, VA; Lula Bray of Fort Lauderdale, FL; Doris Harris of Philadelphia, PA and Ora Blount of Topping, VA; 1 uncle John Blount of Topping, VA as well as a host of many loving cousins and many, many close friends. Words can not express how very sorry I am for your loss. William wasdear to all and I can not imagine how difficult this is for you. Please accept my deepest condolences and may the words at Acts 24:15 bring a measure of comfort and strength to your family now and in the days to come.